Because of climate change and the continuous growth of the world’s population, pressure on water resources has been increasing exponentially over the past century, with severe repercussions in wealthy and developing countries alike. This mounting pressure on water extraction poses two main issues: water scarcity and water pollution. Water scarcity can seriously compromise agriculture, environment, industry, energy, and many other aspects of society. Additionally, increased water pollution can result in several river tracts and aquifers no longer being able to sustain water ecosystems and hindering human activities. Over the past few decades, water scarcity has become a widespread problem, affecting most arid and semiarid regions, including the basins of the Ganges, Indus, Yangtze, Tigris, Euphrates, Nile, and several other rivers. Therefore, investigating water policies that might be detrimental or beneficial to society is of critical importance, as this could help identify the most effective ways of managing water resources. A group of researchers from the Agrifood Research and Technology Center (CITA), the University of Zaragoza, the International Institute for Applied Systems Analysis (IIASA), and the University of California Riverside has been conducting extensive research exploring the impact of policies and politics in managing scarce water resources, with a particular focus on the Jucar River Basin in Spain. The team includes Dr Jose Albiac from CITA and Dr Encarna Esteban from the University of Zaragoza, as well as Dr Taher Kahil from IIASA and Dr Ariel Dinar from the University of California, Riverside. ‘Our work on the Jucar River Basin in Spain focuses on the various components of the river basin ecosystems such as groundwater, wetlands and irrigated agriculture,’ says Dr Albiac. The researchers developed several hydro-economic modelling frameworks and used them to estimate the impacts of different policies on the performance of river basin ecosystems. ‘Our work contains the main components that are essential to water management, including economic optimisation and water allocation, interaction between surface and groundwater resources, the role of groundwater-dependent ecosystems, regional value of cooperation, the role of institutional arrangements with emphasis on extreme scarcity situations, and perception about policy interventions by various stakeholders,’ explains Dr Kahil. The theory of exhaustible resources, such as groundwater, is an important aspect of economics that addresses the difficulties in establishing property rights for shared resources. Groundwater is a common pool resource accessed by several different parties, so extractions by one user automatically reduce the water available to others. Most users believe that the competitors will not conserve water for the future and hence do not make any effort to protect the water stock, ultimately causing a market failure that requires regulatory interventions. Past studies comparing strategies of managing aquifers found that different policy interventions had similar outcomes. Several researchers argued that policy regulation does not effectively improve social welfare, thus questioning the role of public policy and its value in sustaining resource use over time. In two research studies that challenged this argument (Esteban and Albiac, 2011, 2012), Drs Esteban and Albiac analysed the water management strategies employed in two aquifers, the Eastern and Western La Mancha aquifers, which are connected to the Jucar River Basin (Eastern) and to the Guadiana River Basin (Western). This case is of particular interest due to the stark contrast between water management in the Eastern and Western La Mancha aquifers. 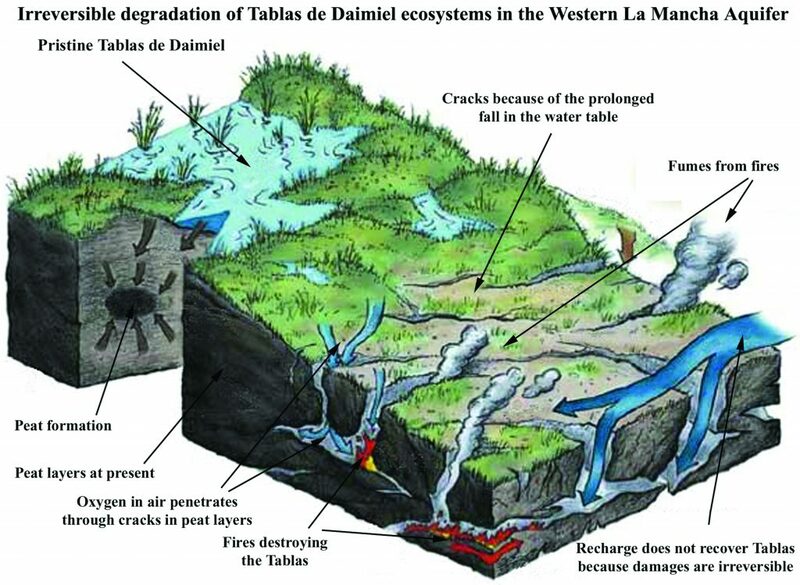 While the Eastern La Mancha is almost sustainable, the Western aquifer is being grossly mismanaged, raising interesting questions about the role of policy in these markedly different observations. The researchers simulated three different management regimes: free market, partial cooperation, and full cooperation. Their findings suggest that policies did have an effect on water management – with policies encouraging full cooperation and collective efforts, such as the ones implemented in the Eastern La Mancha aquifer, being far more beneficial compared to the free market management that is present in the Western region. 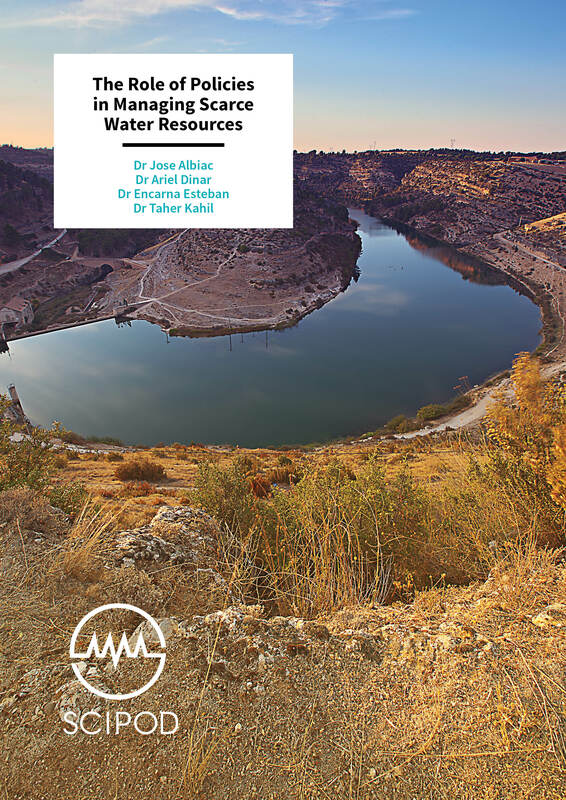 A further series of studies by Drs Esteban and Dinar assessed the conjunctive management of groundwater both in theory and applied to the Jucar River Basin (Esteban and Dinar, 2013, 2016). The researchers demonstrated that policy interventions can help sustain the aquifer when the environmental ecosystem is considered and has positive value and significant value to society. Applying their theoretical model to the Western la Mancha aquifer, they also found that packaging and sequencing of a set of policy interventions is potentially far more effective than single policies in achieving sustainable groundwater management. This particular model of combining policy interventions includes policies such as water taxes and water quotas. Using their economic model, the team found that a sequential package intervention of quotas and taxes results in more efficient water management than when these policies are applied individually. Dr Dinar and Dr Esteban also developed a game theoretical framework (a mathematical model used in economics to analyse strategic interactions between actors in a given market), to assess the value of cooperation between different stakeholders in the Eastern La Mancha aquifer (Esteban and Dinar, 2013). Their findings suggest that uncontrolled extractions and environmental factors interact in affecting the likelihood of cooperation among water users in the area. ‘This finding supports the arguments made by the team, which supports policy intervention when negative environmental externality does exist,’ says Dr Esteban. 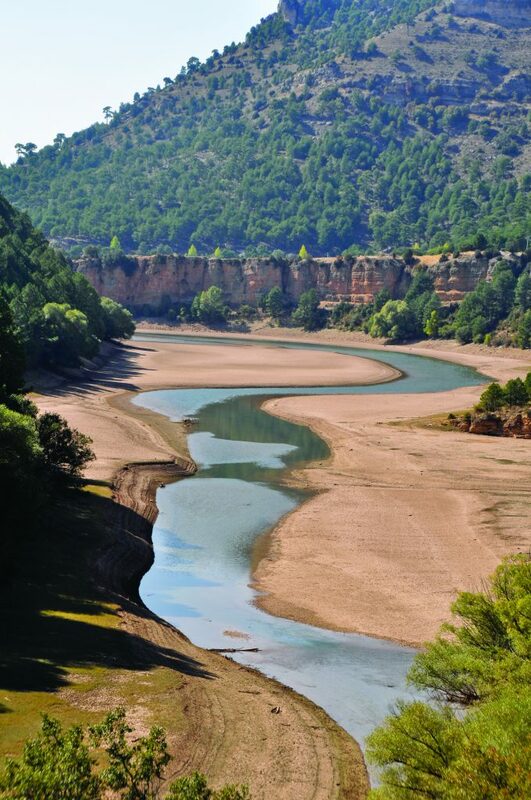 The existence of water users with opposing interests and varying political power makes implementing water policies in the Jucar River Basin extremely difficult. Therefore, the researchers collected and examined the divergent perceptions of different interest groups in the region on the implementation of water scarcity interventions, as well as the extent of their involvement with water agencies. They sent out questionnaires to upstream irrigators in the Eastern la Mancha Aquifer, downstream irrigators in the lower Jucar River Basin, and urban users residing in the Valencia region (Esteban et al., 2018). By analysing the retrieved information, the team found that there were significant differences among these interest groups’ preferred measures of addressing water scarcity, which varied according to the size of the group, their location in the basin, and other characteristics. These findings have several implications that could inform policy making in the future. For instance, they suggest that smaller groups with sizable landholdings are more politically organised than larger groups with smaller landholdings. In addition, more organised groups were found to be more proactive and involved with authorities in the area. Furthermore, while the researchers observed sizeable differences in different groups’ perceptions of the efficiency and fairness of water policies, some opinions appeared to be shared by many. In the years to come, climate change is expected to exacerbate water scarcity and increase the occurrence of droughts, especially in arid and semiarid regions of the world. To better understand water management during droughts, Drs Kahil, Albiac and Dinar examined various policy interventions under different water scarcity scenarios, using the Jucar River Basin as an example (Kahil et al., 2015, 2016). They developed an integrated hydro-economic model that links hydrological, economic, and environmental elements within the context of policies for the management of water scarcity. They then used it to carry out a direct comparison of water markets, water pricing and institutional cooperation policies in the Jucar River Basin, based on their economic, environmental and equity outcomes. Their results highlighted both institutional and water market policies as highly performing instruments to limit the adverse economic consequences of droughts, each with almost the same private benefits. The same study also found water market interventions to have worrying environmental effects and suggested that water pricing is a poor policy option, both in terms of private and environmental benefits and in terms of social equity. 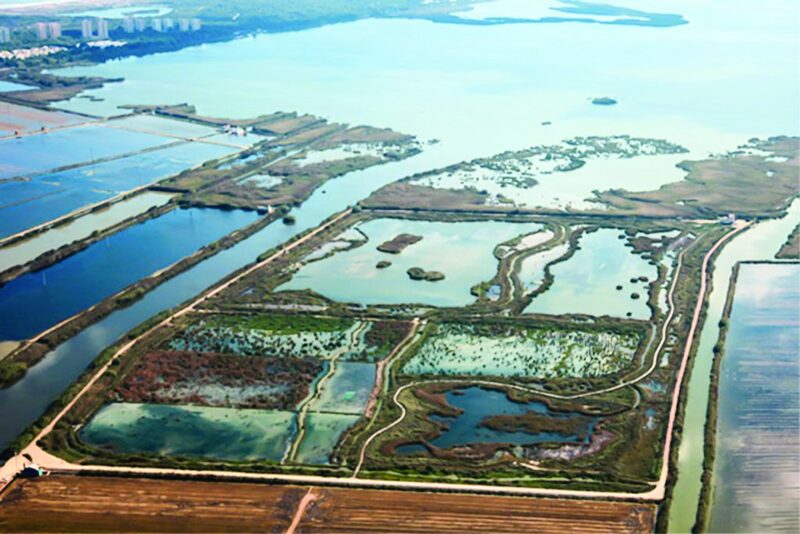 In contrast, environmental water market policies, under which the basin authority acquires water for the Albufera wetland (the main aquatic ecosystem in the Jucar River Basin, and the second most important wetland in Spain), was identified as an appealing option because it ensures private benefits of markets, distributes drought damages more evenly, and offers greater protection for the water ecosystem. The team of researchers also developed a cooperative game theory framework that can be used to analyse water management policies that address scarcity and drought (Kahil et al., 2016). Applying this framework to the Jucar Basin, they found clear evidence that achieving cooperation between different stakeholders can reduce significantly the costs of drought damage. When scarcity is particularly high, however, this cooperation might have to be regulated by public agencies, in order to protect the ecosystems and maintain sustainable level of economic benefits. The research carried out by Drs Albiac, Dinar, Esteban and Kahil clearly demonstrates the benefits of interventions that encourage cooperation between different stakeholders in regions affected by water scarcity. Their work is an important contribution to the area of economics that focuses on water management, and has helped identify interventions and factors that are unhelpful or not beneficial in the Jucar River Basin. As the world population keeps growing and the climate continues to change, attaining a deeper understanding of how water resources can be managed more effectively is of utmost importance and could have immeasurable benefits for society. In future, the results collected by the team could inform policymakers, leading to the development of more effective interventions that encourage cooperation and consider the differences between distinct interest groups. The researchers are now planning to expand the scope of their research to explore other areas of water management. ‘Our work on the Jucar River Basin mainly includes water quantity aspects, principally because this is the limiting factor in that basin,’ says Dr Albiac. ‘However, water quality – mainly nutrient pollution and soil salinity – are limiting factors in many other river basins.’ To take a closer look at these factors, the team will be studying other water ecosystems in Spain, with similar characteristics to river basins in other parts of the world. 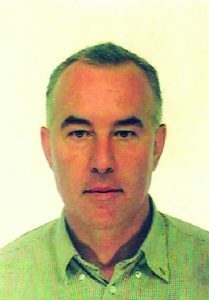 Dr Jose Albiac is a researcher at the Agrifood Research and Technology Center (CITA – Government of Aragon) and a professor at the University of Zaragoza, Spain. He attained a BSc in Economics from the University of Zaragoza, followed by an MSc and a PhD in Agricultural Economics from the University of Illinois, USA. Dr Albiac’s research focuses on environmental and natural resource economics, environmental and agricultural policies, water management, irrigation, groundwater, ecosystems services and protection, nonpoint pollution, water scarcity, droughts, and climate change. 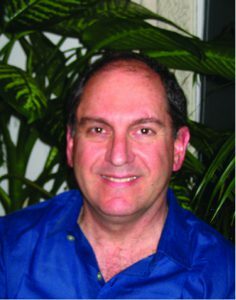 Ariel Dinar is a distinguished professor of Environmental Economics and Policy at the University of California, Riverside (UCR). He holds a BSc, MSc and PhD in Agricultural Economics from the Hebrew University of Jerusalem in Israel. His research focuses on water economics and management at different levels, including regional and international. Dr Dinar has countless publications to his name, including journal articles, articles in policy outlets, and books. Before joining UCR in in 2008, he spent 15 years at the World Bank in Washington DC, working within the policy and research departments on water policies for developing countries, as well as on climate change impact and adaptation. 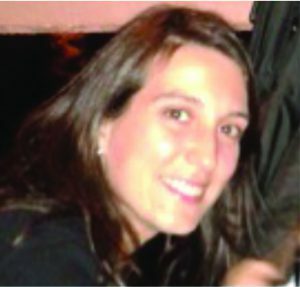 Dr Encarna Esteban is an associate professor at the Department of Economic Analysis of the University of Zaragoza, in Spain. She holds a PhD and BSc in Economics from the University of Zaragoza, as well as a MSc in Agricultural and Resource Economics from the University of Connecticut, USA. Her research primarily focuses on studying water bodies, analysing both their quantitative and qualitative properties, as well as investigating ecosystem behaviour, ecosystem services, and political economy applied to natural resources. 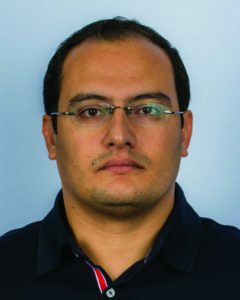 Dr Esteban’s work is based on environmental economics, natural resources, mathematical optimisation, simulation, and modelling applied to water problems. Dr Taher Kahil is a research scholar at the International Institute for Applied Systems Analysis (IIASA), in Austria. He holds a BSc in Agricultural Economics, an MSc in Environmental Management, and a PhD in Economics from the University of Zaragoza. His PhD dissertation focused on the development and use of a hydro-economic model of Spanish basins and on the application of cooperative game theory to water resources management. Dr Kahil’s research interests include integrated water resources modelling and optimization, water economics and policy, the assessment of climate change impacts, and policies in the agriculture and water sectors.